In a nutshell: Foldable drones are a nice – and increasingly popular – variation of the genre, giving you a flying camera that’s easily portable. Here are three great options you should consider – in the absence of the recalled GoPro Karma. With its four arms tucked away, the Zerotech Dobby fits in the palm of your hand. Weighing just 199g, it’s more serious than a toy chopper but not as substantial – or pricey – as DJI’s drones. 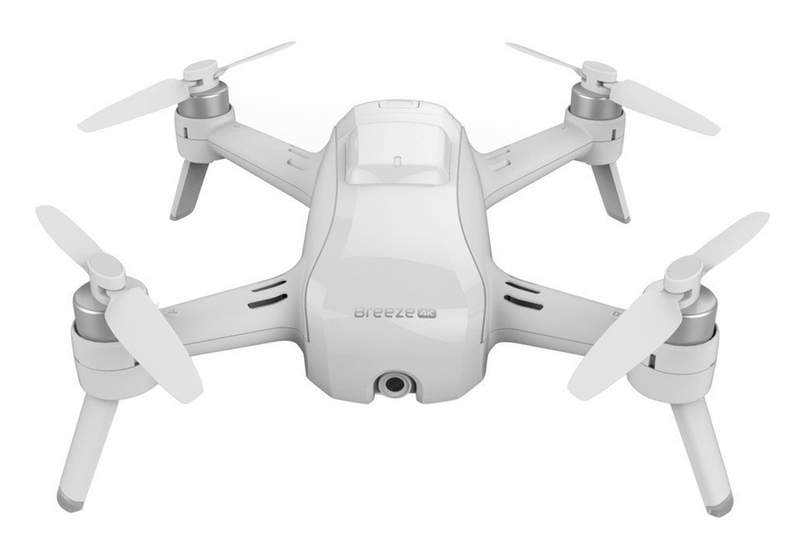 Despite its size, it still packs a 4k camera, 1080p HD stabilized video, and a few other goodies like facial recognition so that it can follow you around and serve as a selfie drone. As evident by now, Dobby is a selfie drone and does not come with any kind of remote controller/transmitter and is purely operated with the app – the control distance is 100 meters in open area with no obstacles, when the drone goes beyond the operating frequency, it auto returns itself. The front of the Dobby Drone has a single camera that can be set into one of four positions before flying. The compact design means a motorized camera [on a gimbal] isn’t viable, but the small size of the drone means you can get in tighter and closer than on a larger UAV. Sure, Parrot’s family of MiniDrones start at around $150, but the cameras on those are almost unusable. Video quality on the Dobby isn’t exactly amazing either, but it’s far from terrible. I’d say it’s a step or two down from the quality you’d get on a flagship smartphone these days, but more than adequate for social media. However, I found images were occasionally a bit soft in terms of focus. Depending on the light that you’re shooting in, you might see exposure change mid-flight, which can be a bit jarring. As fun as Dobby is to play with, it’s let down by a comparatively short battery life; each battery will only give you about nine minutes per charge. This is cut shorter due to the fact the drone automatically lands itself when you’ve got about 15 percent charge left, presumably to prevent it from suddenly falling out of the sky. In some cases, we only got about five minutes of flight time before we had to stop flying and swap battery. With 15 reviews on Zerotech’s Amazon page, this drone now has an average rating of 4.5 out of 5. Perfect, stable, and convenient. I’m really pleased with this drone. It feels like everything has been thought out. The GPS and other ways that the drone stays locked in place are very good. Best of all, it fits in my pocket easily and I can use my cellphone (always on me anyway) to control it. Done a lot of research and compared it with Yuneec, Hover, and other small camera drones, but I finally decided to buy Dobby. (Mavic is great but it is kind of for professional users.) Pocket-sized and GPS positioning for outdoor flying are the two things attract me most. It’s really good for family aerial selfies. The auto pull away short video is kind of magic especially on sunny days. $400 for a drone this small? Tsk tsk. I was hoping to see this maybe in the $100 to $150 range, but $400? That’s the price of a brand new PS4 on release day. Yuneec is making a name for itself with a range of drones that perform well but cost less than half of DJI’s. The Yuneec Breeze, much bigger than the Zerotech Dobby, weighs around 400g and isn’t so foldable – only the propellers tuck in. So you won’t be pocketing this thing. But it does boast 4K videos. Despite the size difference, its purpose is the same as the Dobby, and many of the software features are similar. 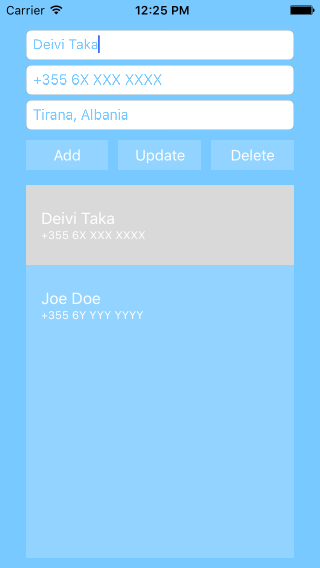 The mobile app, available for iOS and Android, is split into two sections: Tasks and Gallery. Tap on Tasks and you’re given five options to choose from: Pilot, Selfie, Orbit, Journey, and Follow Me. Pilot has the manual controls for flying around the way any other drone would with a regular controller. After crashing it a half dozen times, we were pleased to discover that it’s actually pretty damn durable. We bashed it (inadvertently) into all manner of obstacles — bushes, branches, tree trunks, and even the side of a car — but in none of those instances did the drone become so damaged that it couldn’t start right up again. As far as we can tell, the key to the Breeze’s resilience is its clever hinged props. it appears that Yuneec outfitted the drone with this feature so that the props could be folded inward for easy transport, but based on our observations, it seems that they also help the drone recover from run-ins with tree branches quite effectively. Instead of breaking on contact, they pivot backward ever so slightly, which seems to prevent them from snapping. I did find a tendency for it to drift around disconcertingly on occasion, forcing me at one point to swiftly hit the land button before a nearby rosebush got an unscheduled trimming. And, as with most drones, GPS means you can simply tap a “return-to-home” button when you want to bring the Breeze automatically back to its take-off point. With 59 reviews, this foldable drone scores 3.9 out of 5. JimFeet says that gusty winds approaching 10mph [16 kph] can cause issues, but praises the Breeze. I’ve found the Yuneec Breeze to be an excellent product in nearly all regards. While it may not be the most advanced, fastest or highest resolution camera, it flies well, is stable and easy to control with an iOS device. As a heavy Canon user with a 51 mpx DSLR, in my opinion the photos are of excellent quality. I have played with the video and found it to be excellent as well but video is not my forte so I may not be the best judge. The Breeze folds up and fits into its hard plastic case, making it easy to transport even in a hiking day pack. The video camera is not great in low light. Without a gimbal there’s just too much blur. There is slight blur when panning on video even in daylight. This thing is surprisingly stable in the air, so one thing you obviously want to do is send it up high and take a panoramic video of your surroundings. I can easily use it indoors, which, initially scared me, but sure enough it was much easier than I imagined. Like with the MackBook Pro, the “pro” in the name means this is serious business – and entails an astonishing price tag. Still, it’s essentially as easy to fly as the others on this list. It’s no flyweight at 720g, but it’s nimbler than DJI’s other offerings – and remember it’s foldable. The range on this thing is amazing – up to 7km, if you dare go that far with the battery life. Assuming you’re using the controller and not just the smartphone, you’ll do most of your flying with the control sticks, while you’ll manipulate the drone’s more advanced settings through your phone. The Mavic Pro flies smoothly and is pleasantly easy to maneuver. When you take your fingers off the sticks, it hovers steadily in place (we tested it on a day with almost no wind, it’s unclear how the Mavic might do on a blustery day). That’s especially helpful for lining up precise shots. The camera and gimbal are very similar to what you find on the Phantom, only smaller. The camera uses the same sensor, shooting 4K video and 12 megapixel stills. The only difference is that the Mavic Pro doesn’t have as wide a field of view as the Phantom. 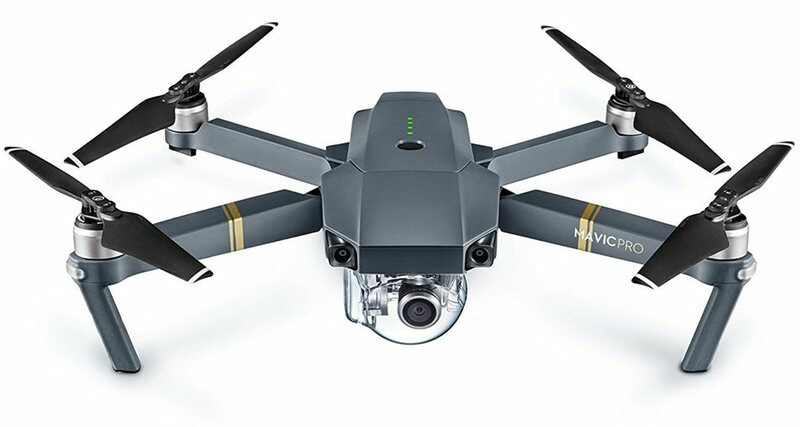 The Mavic Pro does have the same forward-facing optical sensors as the Phantom 4, though, allowing it to detect obstacles and autonomously avoid crashes. While it might not have the power to cut through really strong winds (DJI says it can handle winds up to 19-24 mph or 29-38 kph), it was able to keep the camera stable and fly steady in 10-15 mph winds and still get between 22-25 minutes of flight time before it landed itself. It does warn you when the winds are too strong for its motors, too. The newest of this trio, it scores 4.1 out of 5 from 13 reviews. I pulled the Mavic out of the box and immediately realized how little this thing is compared to my Phantoms. Its size is definitely going to be the draw for most people (it’s small enough to fit in a shoulder camera bag, making it way more portable and comfortable to tote around than my Phantom 4). The four arms are all folded up into the body, making it about the size of a water bottle (slightly bigger) in its portable state. Good Amazon Customer, an experienced RC hobbyist and drone pilot, is a convert. I took a couple flights in high winds – 18 mph [29 kph] – and it worked perfectly. The camera is tiny, but of very high quality, probably equal to or better than most drones on the market (I think the Phantom 4 cam may be slightly better though). Word of warning though, these are not for beginners. No expensive camera drone is. Do your homework and spend time learning on smaller drones. Maybe buy a lower-priced camera drone and learn the ropes. Then get a Mavic Pro. If we are using Linux and we need to recover data due to any of the reason whether physical damage or logical damage, we have many tools for this purpose of recovering data. To not to confuse with many, I will be discussing only one of the data recovery tools available for Linux. ….GNU ddrescue. GNU ddrescue is a program that copies data from one file or block device (hard disk, cd/dvd-rom, etc) to another, it is a tool to help you to save data from crashed partition i.e. it is a data recovery tool. It tries to read and if it fails it will go on with the next sectors, where tools like dd will fail. If the copying process is interrupted by the user it is possible to continue at any position later. It can copy backwards. This program is useful to rescue data in case of I/O errors, because it does not necessarily abort or truncate the output. This is why you need to use this program and not the dd command. I have recovered much data from many disks (CD/hard disk/software raid) over the years using GNU ddrescue on Linux. I highly recommend this tool to Linux sysadmins. Need to get 49.6 kB of archives. Selecting previously unselected package gddrescue. You can directly download ddrescue from the official GNU project web site and compile it on Linux or Unix-like systems. You need to use a logfile to resume a rescue. Never ever run ddrescue on a read/write mounted partition. Do not try to repair a file system on a drive with I/O errors. Be careful about destination partition/device, any data stored there will be overwritten. How do I use ddrescue command? -f : Overwrite output device or partition. -n : Do not try to split or retry failed blocks. -d : Use direct disc access for input file. -r3 : Exit after given three (3) retries (use -1 as infinity retries). -b2048 : Sector size of input device [default is set to 512]. On Debian / Ubuntu and a few other distro you end up installing other utility called dd_rescue. dd_rescue is a program that copies data from one file or block device to another, it is a tool to help you to save data from crashed partition. This post is a success story of one imaginary news portal, and you’re the happy owner, the editor, and the only developer. Luckily, you already host your project code on GitLab.com and know that you can run tests with GitLab CI. Now you’re curious if it can be used for deployment, and how far can you go with it. To keep our story technology stack-agnostic, let’s assume that the app is just a set of HTML files. No server-side code, no fancy JS assets compilation. 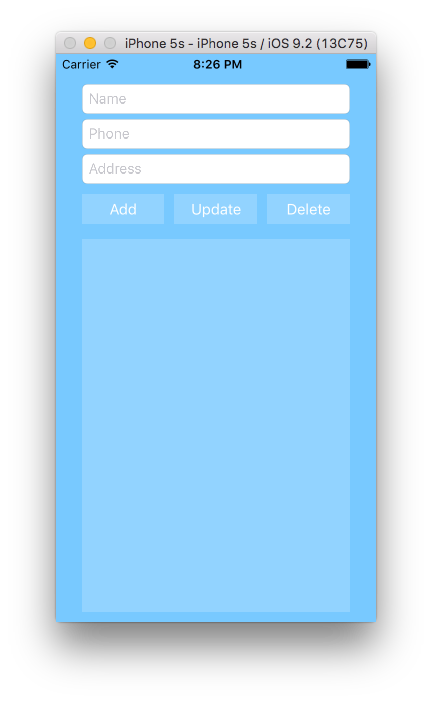 Destination platform is also simplistic – we will use Amazon S3. The goal of the article is not to give you a bunch of copypasteable snippets. 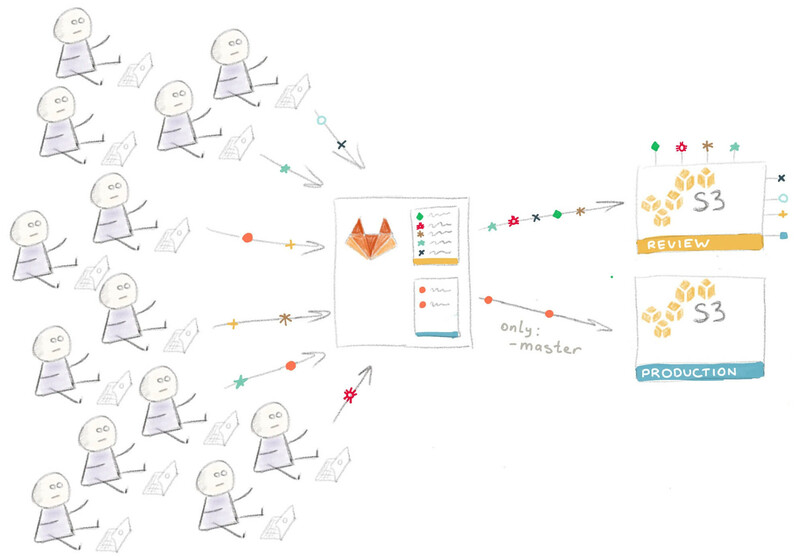 The goal is to show principles and features of GitLab CI so that you could easily apply them to your technology stack. Let’s start from the beginning: no CI in our story yet. Deployment: in your case, it means that a bunch of HTML files should appear on your S3 bucket (which is already configured for static website hosting). There’re a million ways to do it. We’ll use the awscli library, provided by Amazon. aws s3 cp ./ s3://yourbucket/ --recursive --exclude "*" --include "*.html"
Important detail: the command expects you to provide AWS_ACCESS_KEY_ID and AWS_SECRET_ACCESS_KEY environment variables. Also you might need to specify AWS_DEFAULT_REGION. Let’s try to automate it using GitLab CI. With GitLab, there’s no difference on what commands to run. You can setup GitLab CI according to your needs as if it was your local terminal on your computer. 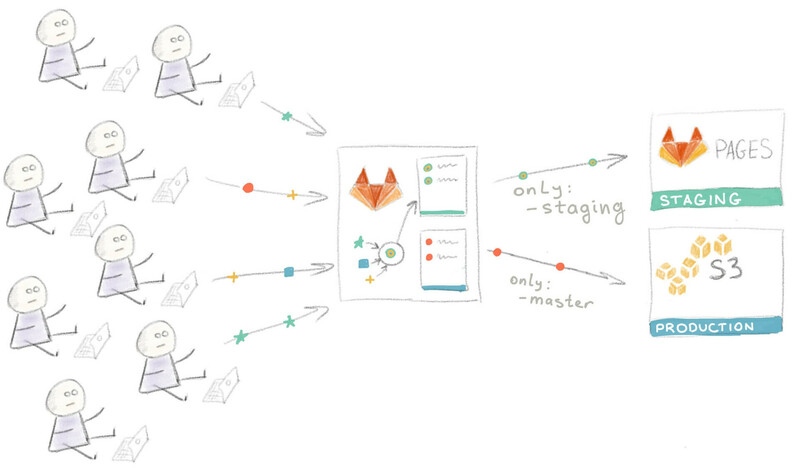 As long as you execute commands there, you can tell CI to do the same for you in GitLab. Put your script to.gitlab-ci.yml and push your code – that’s it: CI triggers a job and your commands are executed. Let’s add some context to our story: our website is small, there is 20-30 daily visitors and the code repository has only one branch:master. script: aws s3 cp ./ s3://yourbucket/ --recursive --exclude "*" --include "*.html"
- aws s3 cp ./ s3://yourbucket/ --recursive --exclude "*" --include "*.html"
The installation of awscli extends the job execution time, but it is not a big deal for now. If you need to speed up the process, you can always look for a Docker image with preinstalled awscli, or create an image by yourself. It should work, however keeping secret keys open, even in a private repository, is not a good idea. Let’s see how to deal with it. Whatever you put there will be turned into environment variables. Only an administrator of a project has access to this section. We could remove variables section from our CI configuration. However, let’s use it for another purpose. - aws s3 cp ./ s3://$S3_BUCKET_NAME/ --recursive --exclude "*" --include "*.html"
Because the audience of your website grew, you’ve hired a developer to help you. Now you have a team. Let’s see how teamwork changes the workflow. Now there’s two of you working in the same repository. It is no longer convenient to use the master branch for development. You decide to use separate branches for both new features and new articles and merge them into master when they are ready. The problem is that your current CI config doesn’t care about branches at all. Whenever you push anything to GitLab, it will be deployed to S3. Preventing it is straightforward. Just add only: master to your deploy job. 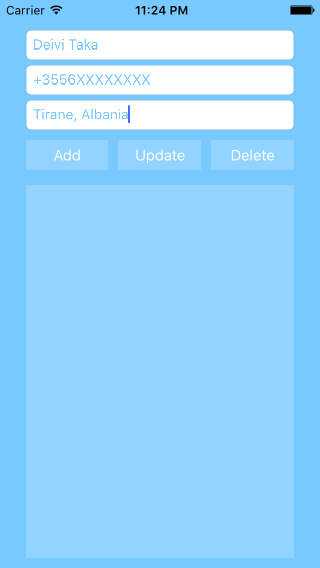 But it would also be nice to preview your changes from feature-branches somehow. Patrick (the guy you recently hired) reminds you that there is such a thing called GitLab Pages. It looks like a perfect candidate for a place to preview your work in progress. We specified two jobs. One job deploys the website for your customers to S3 (deploy). The other one (pages) deploys the website to GitLab Pages. We can name them “Production environment” and “Staging environment”, respectively. Now, with everything automated and set up, we’re ready for the new challenges that are just around the corner. It has just happened again. You’ve pushed your feature-branch to preview it on staging; a minute later Patrick pushed his branch, so the Staging was re-written with his work. Aargh!! It was the third time today! Idea! Let’s use Slack to notify us of deployments, so that people will not push their stuff if another one has been just deployed! Setting up Slack notifications is a straightforward process. As the time passed, your website became really popular, and your team has grown from 2 to 8 people. People develop in parallel, so the situation when people wait for each other to preview something on Staging has become pretty common. “Deploy every branch to staging” stopped working. It’s time to modify the process one more time. You and your team agreed that if someone wants to see his/her changes on the staging server, he/she should first merge the changes to the “staging” branch. Of course, it requires additional time and effort for merging, but everybody agreed that it is better than waiting. You can’t control everything, so sometimes things go wrong. Someone merged branches incorrectly and pushed the result straight to production exactly when your site was on top of HackerNews. Thousands of people saw your completely broken layout instead of your shiny main page. Luckily, someone found the Rollback button, so the website was fixed a minute after the problem was discovered. Anyway, you felt that you needed to react to the problem and decided to turn off auto deployment to production and switch to manual deployment. To do that, you needed to add when: manual to your job. Finally, your company has turned into a corporation. You have hundreds of people working on the website, so all the previous compromises are not working anymore. The next logical step is to boot up a temporary instance of the application per feature-branch for review. The interesting thing is where we got this $CI_BUILD_REF_NAME variable from. GitLab predefines many environment variables so that you can use them in your jobs. Note that we defined the S3_BUCKET_NAME variable inside the job. You can do this to rewrite top-level definitions. The details of Review Apps implementation depend widely on your real technology stack and on your deployment process, which is out of the scope of this blog post. It will not be that straightforward, as it is with our static HTML website. For example, you had to make these instances temporary, and booting up these instances with all required software and services automatically on the fly is not a trivial task. However, it is doable, especially if you use Docker, or at least Chef or Ansible. For now, let’s talk about one final thing. In real life, we are not limited to S3 and GitLab Pages. We host, and therefore, deploy our apps and packages to various services. Moreover, at some point, you could decide to move to a new platform and thus need to rewrite all your deployment scripts. You can use a gem called dpl to minimize the damage. In the examples above we used awscli as a tool to deliver code to an example service (Amazon S3). However, no matter what tool and what destination system you use, the principle is the same: you run a command with some parameters and somehow pass a secret key for authentication purposes. The dpl deployment tool utilizes this principle and provides a unified interface for this list of providers. If you deploy to different systems or change destination platform frequently, consider using dpl to make your deployment scripts look uniform. Cloud hosting is a method of using online virtual servers that can be created, modified, and destroyed on demand. Cloud servers are allocated resources like CPU cores and memory by the physical server that it’s hosted on and can be configured with a developer’s choice of operating system and accompanying software. Cloud hosting can be used for hosting websites, sending and storing emails, and distributing web-based applications and other services. In this guide, we will go over some of the basic concepts involved in cloud hosting, including how virtualization works, the components in a virtual environment, and comparisons with other common hosting methods. “The Cloud” is a common term that refers to servers connected to the Internet that are available for public use, either through paid leasing or as part of a software or platform service. A cloud-based service can take many forms, including web hosting, file hosting and sharing, and software distribution. “The Cloud” can also be used to refer to cloud computing, which is the practice of using several servers linked together to share the workload of a task. Instead of running a complex process on a single powerful machine, cloud computing distributes the task across many smaller computers. Cloud hosting is just one of many different types of hosting available to customers and developers today, though there are some key differences between them. Traditionally, sites and apps with low budgets and low traffic would use shared hosting, while more demanding workloads would be hosted on dedicated servers. Shared hosting is the most common and most affordable way to get a small and simple site up and running. In this scenario, hundreds or thousands of sites share a common pool of server resources, like memory and CPU. Shared hosting tends to offer the most basic and inflexible feature and pricing structures, as access to the site’s underlying software is very limited due to the shared nature of the server. Dedicated hosting is when a physical server machine is sold or leased to a single client. This is more flexible than shared hosting, as a developer has full control over the server’s hardware, operating system, and software configuration. Dedicated servers are common among more demanding applications, such as enterprise software and commercial services like social media, online games, and development platforms. Cloud hosting environments are broken down into two main parts: the virtual servers that apps and websites can be hosted on and the physical hosts that manage the virtual servers. This virtualization is what is behind the features and advantages of cloud hosting: the relationship between host and virtual server provides flexibility and scaling that are not available through other hosting methods. The most common form of cloud hosting today is the use of a virtual private server, or VPS. A VPS is a virtual server that acts like a real computer with its own operating system. While virtual servers share resources that are allocated to them by the host, their software is well isolated, so operations on one VPS won’t affect the others. Virtual servers are deployed and managed by the hypervisor of a physical host. Each virtual server has an operating system installed by the hypervisor and available to the user to add software on top of. For many practical purposes, a virtual server is identical in use to a dedicated physical server, though performance may be lower in some cases due to the virtual server sharing physical hardware resources with other servers on the same host. Resources are allocated to a virtual server by the physical server that it is hosted on. This host uses a software layer called a hypervisor to deploy, manage, and grant resources to the virtual servers that are under its control. The term “hypervisor” is often used to refer to the physical hosts that hypervisors (and their virtual servers) are installed on. The host is in charge of allocating memory, CPU cores, and a network connection to a virtual server when one is launched. An ongoing duty of the hypervisor is to schedule processes between the virtual CPU cores and the physical ones, since multiple virtual servers may be utilizing the same physical cores. The method of choice for process scheduling is one of the key differences between different hypervisors. There are a few common hypervisor software available for cloud hosts today. These different virtualization methods have some key differences, but they all provide the tools that a host needs to deploy, maintain, move, and destroy virtual servers as needed. KVM, short for “Kernel-Based Virtual Machine”, is a virtualization infrastructure that is built in to the Linux kernel. When activated, this kernel module turns the Linux machine into a hypervisor, allowing it to begin hosting virtual servers. This method is in contrast from how other hypervisors usually work, as KVM does not need to create or emulate kernel components that are used for virtual hosting. Xen is one of the most common hypervisors in use today. Unlike KVM, Xen uses a microkernel, which provides the tools needed to support virtual servers without modifying the host’s kernel. Xen supports two distinct methods of virtualization: paravirtualization, which skips the need to emulate hardware but requires special modifications made to the virtual servers’ operating system, and hardware-assisted virtualization, which uses special hardware features to efficiently emulate a virtual server so that they can use unmodified operating systems. ESXi is an enterprise-level hypervisor offered by VMware. ESXi is unique in that it doesn’t require the host to have an underlying operating system. This is referred to as a “type 1” hypervisor and is extremely efficient due to the lack of a “middleman” between the hardware and the virtual servers. With type 1 hypervisors like ESXi, no operating system needs to be loaded on the host because the hypervisor itself acts as the operating system. Hyper-V is one of the most popular methods of virtualizing Windows servers and is available as a system service in Windows Server. This makes Hyper-V a common choice for developers working within a Windows software environment. Hyper-V is included in Windows Server 2008 and 2012 and is also available as a stand-alone server without an existing installation of Windows Server. The features offered by virtualization lend themselves well to a cloud hosting environment. Virtual servers can be configured with a wide range of hardware resource allocations, and can often have resources added or removed as needs change over time. Some cloud hosts can move a virtual server from one hypervisor to another with little or no downtime or duplicate the server for redundancy in case of a node failure. Developers often prefer to work in a VPS due to the control that they have over the virtual environment. Most virtual servers running Linux offer access to the root (administrator) account or sudo privileges by default, giving a developer the ability to install and modify whatever software they need. This freedom of choice begins with the operating system. Most hypervisors are capable of hosting nearly any guest operating system, from open source software like Linux and BSD to proprietary systems like Windows. From there, developers can begin installing and configuring the building blocks needed for whatever they are working on. A cloud server’s configurations might involve a web server, database, email service, or an app that has been developed and is ready for distribution. Cloud servers are very flexible in their ability to scale. Scaling methods fall into two broad categories: horizontal scaling and vertical scaling. Most hosting methods can scale one way or the other, but cloud hosting is unique in its ability to scale both horizontally and vertically. This is due to the virtual environment that a cloud server is built on: since its resources are an allocated portion of a larger physical pool, it’s easy to adjust these resources or duplicate the virtual image to other hypervisors. Horizontal scaling, often referred to as “scaling out”, is the process of adding more nodes to a clustered system. This might involve adding more web servers to better manage traffic, adding new servers to a region to reduce latency, or adding more database workers to increase data transfer speed. Many newer web utilities, like CoreOS, Docker, and Couchbase, are built around efficient horizontal scaling. Vertical scaling, or “scaling up”, is when a single server is upgraded with additional resources. This might be an expansion of available memory, an allocation of more CPU cores, or some other upgrade that increases that server’s capacity. These upgrades usually pave the way for additional software instances, like database workers, to operate on that server. Before horizontal scaling became cost-effective, vertical scaling was the method of choice to respond to increasing demand. With cloud hosting, developers can scale depending on their application’s needs — they can scale out by deploying additional VPS nodes, scale up by upgrading existing servers, or do both when server needs have dramatically increased. By now, you should have a decent understanding of how cloud hosting works, including the relationship between hypervisors and the virtual servers that they are responsible for, as well as how cloud hosting compares to other common hosting methods. With this information in mind, you can choose the best hosting for your needs. Memcached or Redis? It’s a question that nearly always arises in any discussion about squeezing more performance out of a modern, database-driven Web application. When performance needs to be improved, caching is often the first step taken, and Memcached or Redis are typically the first places to turn. These renowned cache engines share a number of similarities, but they also have important differences. Redis, the newer and more versatile of the two, is almost always the superior choice. Let’s start with the similarities. Both Memcached and Redis serve as in-memory, key-value data stores, although Redis is more accurately described as a data structure store. Both Memcached and Redis belong to the NoSQL family of data management solutions, and both are based on a key-value data model. They both keep all data in RAM, which of course makes them supremely useful as a caching layer. In terms of performance, the two data stores are also remarkably similar, exhibiting almost identical characteristics (and metrics) with respect to throughput and latency. Both Memcached and Redis are mature and hugely popular open source projects. Memcached was originally developed by Brad Fitzpatrick in 2003 for the LiveJournal website. Since then, Memcached has been rewritten in C (the original implementation was in Perl) and put in the public domain, where it has become a cornerstone of modern Web applications. 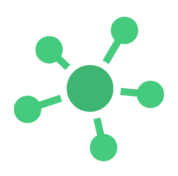 Current development of Memcached is focused on stability and optimizations rather than adding new features. Redis was created by Salvatore Sanfilippo in 2009, and Sanfilippo remains the lead developer of the project today. Redis is sometimes described as “Memcached on steroids,” which is hardly surprising considering that parts of Redis were built in response to lessons learned from using Memcached. Redis has more features than Memcached and is, thus, more powerful and flexible. Used by many companies and in countless mission-critical production environments, both Memcached and Redis are supported by client libraries in every conceivable programming language, and it’s included in a multitude of packages for developers. In fact, it’s a rare Web stack that does not include built-in support for either Memcached or Redis. Why are Memcached and Redis so popular? Not only are they extremely effective, they’re also relatively simple. Getting started with either Memcached or Redis is considered easy work for a developer. It takes only a few minutes to set up and get them working with an application. Thus, a small investment of time and effort can have an immediate, dramatic impact on performance — usually by orders of magnitude. A simple solution with a huge benefit; that’s as close to magic as you can get. Because Redis is newer and has more features than Memcached, Redis is almost always the better choice. However, Memcached could be preferable when caching relatively small and static data, such as HTML code fragments. Memcached’s internal memory management, while not as sophisticated as that of Redis, is more efficient in the simplest use cases because it consumes comparatively less memory resources for metadata. Strings (the only data type supported by Memcached) are ideal for storing data that’s only read, because strings require no further processing. That said, Memcached’s memory management efficiency diminishes quickly when data size is dynamic, at which point Memcached’s memory can become fragmented. Also, large data sets often involve serialized data, which always requires more space to store. While Memcached is effectively limited to storing data in its serialized form, the data structures in Redis can store any aspect of the data natively, thus reducing serialization overhead. The second scenario in which Memcached has an advantage over Redis is in scaling. Because Memcached is multithreaded, you can easily scale up by giving it more computational resources, but you will lose part or all of the cached data (depending on whether you use consistent hashing). Redis, which is mostly single-threaded, can scale horizontally via clustering without loss of data. Clustering is an effective scaling solution, but it is comparatively more complex to set up and operate. You’ll almost always want to use Redis because of its data structures. With Redis as a cache, you gain a lot of power (such as the ability to fine-tune cache contents and durability) and greater efficiency overall. Once you use the data structures, the efficiency boost becomes tremendous for specific application scenarios. Redis’ superiority is evident in almost every aspect of cache management. Caches employ a mechanism called data eviction to make room for new data by deleting old data from memory. Memcached’s data eviction mechanism employs a Least Recently Used algorithm and somewhat arbitrarily evicts data that’s similar in size to the new data. Redis, by contrast, allows for fine-grained control over eviction, letting you choose from six different eviction policies. Redis also employs more sophisticated approaches to memory management and eviction candidate selection. Redis supports both lazy and active eviction, where data is evicted only when more space is needed or proactively. Memcached, on the other hand, provides lazy eviction only. Redis gives you much greater flexibility regarding the objects you can cache. While Memcached limits key names to 250 bytes and works with plain strings only, Redis allows key names and values to be as large as 512MB each, and they are binary safe. Plus, Redis has five primary data structures to choose from, opening up a world of possibilities to the application developer through intelligent caching and manipulation of cached data. Using Redis data structures can simplify and optimize several tasks — not only while caching, but even when you want the data to be persistent and always available. For example, instead of storing objects as serialized strings, developers can use a Redis Hash to store an object’s fields and values, and manage them using a single key. Redis Hash saves developers the need to fetch the entire string, deserialize it, update a value, reserialize the object, and replace the entire string in the cache with its new value for every trivial update — that means lower resource consumption and increased performance. Other data structures offered by Redis (such as lists, sets, sorted sets, hyperloglogs, bitmaps, and geospatial indexes) can be used to implement even more complex scenarios. Sorted sets for time-series data ingestion and analysis is another example of a Redis data structure that offers enormously reduced complexity and lower bandwidth consumption. Another important advantage of Redis is that the data it stores isn’t opaque, so the server can manipulate it directly. A considerable share of the 180-plus commands available in Redis are devoted to data processing operations and embedding logic in the data store itself via server-side Lua scripting. These built-in commands and user scripts give you the flexibility of handling data processing tasks directly in Redis without having to ship data across the network to another system for processing. Redis offers optional and tunable data persistence designed to bootstrap the cache after a planned shutdown or an unplanned failure. While we tend to regard the data in caches as volatile and transient, persisting data to disk can be quite valuable in caching scenarios. Having the cache’s data available for loading immediately after restart allows for much shorter cache warm-up and removes the load involved in repopulating and recalculating cache contents from the primary data store. Redis can also replicate the data that it manages. Replication can be used for implementing a highly available cache setup that can withstand failures and provide uninterrupted service to the application. A cache failure falls only slightly short of application failure in terms of the impact on user experience and application performance, so having a proven solution that guarantees the cache’s contents and service availability is a major advantage in most cases. Last but not least, in terms of operational visibility, Redis provides a slew of metrics and a wealth of introspective commands with which to monitor and track usage and abnormal behavior. Real-time statistics about every aspect of the database, the display of all commands being executed, the listing and managing of client connections — Redis has all that and more. When developers realize the effectiveness of Redis’ persistence and in-memory replication capabilities, they often use it as a first-responder database, usually to analyze and process high-velocity data and provide responses to the user while a secondary (often slower) database maintains a historical record of what happened. When used in this manner, Redis can also be ideal for analytics use cases. Three analytics scenarios come immediately to mind. In the first scenario, when using something like Apache Spark to iteratively process large data sets, you can use Redis as a serving layer for data previously calculated by Spark. In the second scenario, using Redis as your shared, in-memory, distributed data store canaccelerate Spark processing speeds by a factor of 45 to 100. Finally, an all too common scenario is one in which reports and analytics need to be customizable by the user, but retrieving data from inherently batch data stores (like Hadoop or an RDBMS) takes too long. In this case, an in-memory data structure store such as Redis is the only practical way of getting submillisecond paging and response times. Open source software continues to provide some of the best technologies available today. When it comes to boosting application performance through caching, Redis and Memcached are the most established and production-proven candidates. However, given its richer functionality, more advanced design, many potential uses, and greater cost efficiency at scale, Redis should be your first choice in nearly every case. You know that Linux is a hot data center server. You know it can save you money in licensing and maintenance costs. But that still leaves the question of what your best options are for Linux as a server operating system. At the top of almost every Linux-related list, the Debian-based Ubuntu is in a class by itself. Canonical’s Ubuntu surpasses all other Linux server distributions — from its simple installation to its excellent hardware discovery to its world-class commercial support, Ubuntu sets a strong standard that is hard to match. The latest release of Ubuntu, Ubuntu 16.04 LTS “Xenial Xerus,” debuted in April 2016 and ups the ante with OpenStack Mitaka support, the LXD pure-container hypervisor, and Snappy, an optimized packaging system developed specifically for working with newer trends and technologies such as containers, mobile and the Internet of Things (IoT). The LTS in Ubuntu 16.04 LTS stands for Long Term Support. The LTS versions are released every two years and include five years of commercial support for the Ubuntu Server edition. While Red Hat started out as the “little Linux company that could,” its Red Hat Enterprise Linux (RHEL) server operating system is now a major force in the quest for data center rackspace. The Linux darling of large companies throughout the world, Red Hat’s innovations and non-stop support, including ten years of support for major releases, will keep you coming back for more. RHEL is based on the community-driven Fedora, which Red Hat sponsors. Fedora is updated more frequently than RHEL and serves as more of a bleeding-edge Linux distro in terms of features and technology, but it doesn’t offer the stability or the length and quality of commercial support that RHEL is renowned for.In development since 2010, Red Hat Enterprise Linux 7 (RHEL 7) made its official debut in June 2014, and the major update offers scalability improvements for enterprises, including a new filesystem that can scale to 500 terabytes, as well as support for Docker container virtualization technology. The most recent release of RHEL, version 7.2, arrived in November 2015. The Micro Focus-owned (but independently operated) SUSE Linux Enterprise Server (SLES) is stable, easy to maintain and offers 24×7 rapid-response support for those who don’t have the time or patience for lengthy troubleshooting calls. And the SUSE consulting teams will have you meeting your SLAs and making your accountants happy to boot. Similar to how Red Hat’s RHEL is based on the open-source Fedora distribution, SLES is based on the open-source openSUSE Linux distro, with SLES focusing on stability and support over leading-edge features and technologies.The most recent major release, SUSE Linux Enterprise Server 12 (SLES 12), debuted in late October 2014 and introduced new features like framework for Docker, full system rollback, live kernel patching enablement and software modules for “increasing data center uptime, improving operational efficiency and accelerating the adoption of open source innovation,” according to SUSE.SLES 12 SP1 (Service Pack 1) followed the initial SLES 12 release in December 2015, and added support for Docker, Network Teaming, Shibboleth and JeOS images. CentOS has largely operated as a community-driven project that used the RHEL code, removed all Red Hat’s trademarks, and made the Linux server OS available for free use and distribution.In 2014 the focus shifted following Red Hat and CentOS announcing they would collaborate going forward and that CentOS would serve to address the gap between the community-innovation-focused Fedora platform and the enterprise-grade, commercially-deployed Red Hat Enterprise Linux platform.CentOS will continue to deliver a community-oriented operating system with a mission of helping users develop and adopt open source technologies on a Linux server distribution that is more consistent and conservative than Fedora’s more innovative role.At the same time, CentOS will remain free, with support provided by the community-led CentOS project rather than through Red Hat. CentOS released CentOS 7.2 in December 2015, which is derived from Red Hat Enterprise Linux 7.2. If you’re confused by Debian’s inclusion here, don’t be. Debian doesn’t have formal commercial support but you can connect with Debian-savvy consultants around the world via theirConsultants page. Debian originated in 1993 and has spawned more child distributions than any other parent Linux distribution, including Ubuntu, Linux Mint and Vyatta. Debian remains a popular option for those who value stability over the latest features. The latest major stable version of Debian, Debian 8 “jessie,” was released in April 2015, and it will be supported for five years.Debian 8 marks the switch to the systemd init system over the old SysVinit init system, and includes the latest releses of the Linux Kernel, Apache, LibreOffice, Perl, Python, Xen Hypervisor, GNU Compiler Collection and the GNOME and Xfce desktop environments.The latest update for Debian 8, version 8.4, debuted on April 2nd, 2016. If you didn’t know that Oracle produces its own Linux distribution, you’re not alone. Oracle Linux (formerly Oracle Enterprise Linux) is Red Hat Enterprise Linux fortified with Oracle’s own special Kool-Aid as well as various Oracle logos and art added in.Oracle’s Linux competes directly with Red Hat’s Linux server distributions, and does so quite effectively since purchased support through Oracle is half the price of Red Hat’s equivalent model. Optimized for Oracle’s database services, Oracle Linux is a heavy contender in the enterprise Linux market. If you run Oracle databases and want to run them on Linux, you know the drill: Call Oracle.The latest release of Oracle Linux, version 7.2, arrived in November 2015 and is based on RHEL 7.2. Mageia is an open-source-based fork of Mandriva Linux that made its debut in 2011. The most recent release, Mageia 5, became available in June 2015, and Mageia 6 is expected to debut in late June 2016. For U.S.-based executive or technical folks, Mageia and its predecessor Mandriva might be a bit foreign. The incredibly well-constructed Mandriva Linux distribution hails from France and enjoys extreme acceptance in Europe and South America. The Mandriva name and its construction derive from the Mandrake Linux and Connectiva Linux distributions.Mageia maintains the strengths of Mandriva while continuing its development with new features and capabilities, as well as support from the community organization Mageia.Org. Mageia updates are typically released on a 9-month release cycle, with each release supported for two cycles (18 months).As for Mandriva Linux, the Mandriva SA company continues its business Linux server projects, which are now based on Mageia code. This guide covers basic building instructions for PHP projects. There are covered two cases: testing using the Docker executor and testing using the Shell executor. While it is possible to test PHP apps on any system, this would require manual configuration from the developer. To overcome this we will be using the official PHP docker image that can be found in Docker Hub. This will allow us to test PHP projects against different versions of PHP. However, not everything is plug ‘n’ play, you still need to configure some things manually. 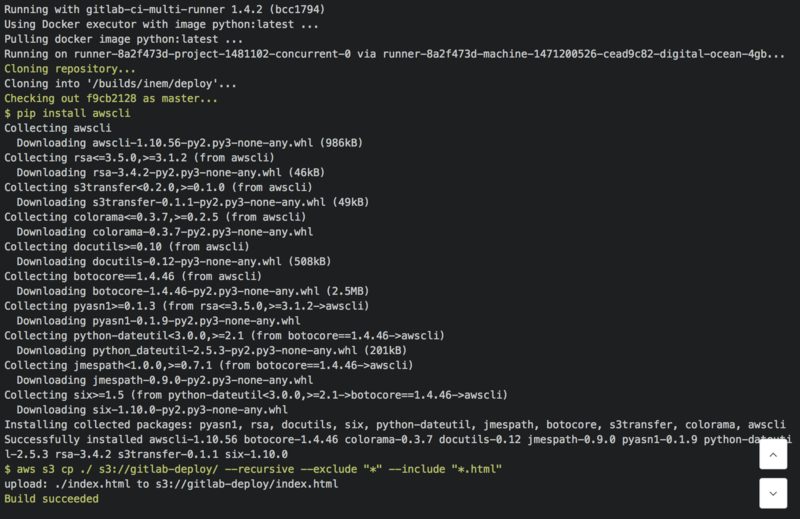 As with every build, you need to create a valid .gitlab-ci.yml describing the build environment. Let’s first specify the PHP image that will be used for the build process (you can read more about what an image means in the Runner’s lingo reading about Using Docker images). The official images are great, but they lack a few useful tools for testing. We need to first prepare the build environment. A way to overcome this is to create a script which installs all prerequisites prior the actual testing is done. You might wonder what docker-php-ext-install is. In short, it is a script provided by the official php docker image that you can use to easilly install extensions. For more information read the the documentation at https://hub.docker.com/r/_/php/. Finally, commit your files and push them to GitLab to see your build succeeding (or failing). Of course, my_php.ini must be present in the root directory of your repository. The shell executor runs your builds in a terminal session on your server. Thus, in order to test your projects you first need to make sure that all dependencies are installed. Finally, push to GitLab and let the tests begin! The phpenv project allows you to easily manage different versions of PHP each with its own config. This is specially usefull when testing PHP projects with the Shell executor. You will have to install it on your build machine under the gitlab-runner user following the upstream installation guide. Important note: It seems phpenv/phpenv is abandoned. There is a fork at madumlao/phpenv that tries to bring the project back to life. CHH/phpenv also seems like a good alternative. Picking any of the mentioned tools will work with the basic phpenv commands. Guiding you to choose the right phpenv is out of the scope of this tutorial. Since this is a pretty bare installation of the PHP environment, you may need some extensions that are not currently present on the build machine. It’s not advised to add this to .gitlab-ci.yml. You should execute this command once, only to setup the build environment. # Composer stores all downloaded packages in the vendor/ directory. If your test suite needs to access a private repository, you need to configure the SSH keys in order to be able to clone it. Most of the time you will need a running database in order for your tests to run. If you are using the Docker executor you can leverage Docker’s ability to link to other containers. In GitLab Runner lingo, this can be achieved by defining a service. This functionality is covered in the CI services documentation. We have set up an Example PHP Project for your convenience that runs on GitLab.com using our publicly available shared runners. Want to hack on it? Simply fork it, commit and push your changes. Within a few moments the changes will be picked by a public runner and the build will begin.